Differential › Eaton Truck Differentials « Truck Drivetrain Co.
Eaton’s heavy-duty product line of truck differentials for heavy hauling, military vehicles and off-road equipment, dominates the market for quality, long lasting performance and customer satisfaction. 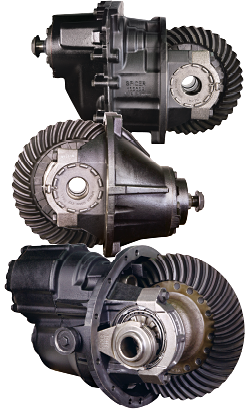 From lockers to limited slip differentials, clutch or gear style units, automatic or electronic operation, Eaton offers a differential solution for them all. The power of lockers isn’t just for big rig trucks. Eaton differentials offer a solution for every type of truck. Look to Eaton locking and limited slip differentials when you need to get full traction to the ground. Eaton builds has a differential that is right for your application, mechanical and limited slip as well as electronically controlled units. 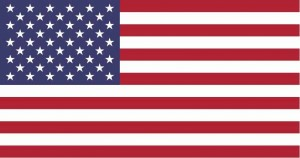 Eaton offers torque controlling differentials for the commercial trucking industry and military vehicle manufacturers. Eaton Front Differentials: DS381, DS381-P, DS401, DS401-P DS402 DS402-P, DS404 & DS404-P.
Eaton Front Differential: DS460, DS460-P, DS461, DS461-P, DS480 & DS480-P.
Eaton Front Differentials W/Traction Control: DC402-P & DC461-P.
Eaton Rear Differentials: RS381, RS401, RS402, RS404, RS460, RS461 & RS480. Eaton Rear Differential W/Traction Control: RC402, RC461 & RC480. Eaton Single Axle Differentials: 15040S, 19050S, 22121 & 23121. Eaton Single Axle Differential W/Traction Control: 23421. Eaton Single Axle Two Speed Differentials: 15040T, 16244, 17221, 18221, 19050T & 23221. Eaton Differentials & Locking Differentials For Sale. Eaton Posi units are virtually bulletproof, fully re-buildable and made in the United States. You can count on Truck Drivetrain Co. to have the Eaton differential products you need at wholesale prices you can afford. Detroit Gearless Differentials. Eliminating individual wheel spin. Detroit Locker Differentials. The most durable and dependable locking differential. Detroit Truetrac Differentials. The first helical gear differential ever introduced. ELocker Differentials. Push button solutions to almost any traction need. Eaton Posi Differentials. The perfect way to control traction.